We are fearfully and wonderfully made; Body, Mind, and Spirit all adding together creating a whole person. Any one of these can have a profound effect on the others contributing to a change showing itself through our emotions. It is important to look at our health through the lens of our emotions for they can tell us a lot about what can be occurring physically. An emotional assessment is one of the three main pillars of natural health. Dr. Edward Bach discovered that emotions relate to various physical systems and organs of the body. He then created a means of addressing emotional imbalances using a system of 38 different flowers. These flower essences are usually referred to as “The Bach Flower Remedies.” Bach Flowers are safe for everyone, including children, pregnant women, pets, elderly and even plants. The human body can be telling us that it is not optimally working. If you are struggling with any of the examples below, your body may be asking you for help. We will gladly work with you by using traditional naturopathic assessments to examine what your body is telling you it needs help with, and educate you in what you need to do to allow you body an optimal environment to heal in. RBTI is the abbreviated term for Reams Biological Theory of Ionization. RBTI is a working explanation about the fundamental ionic energy composition and function of biological life. This theory was discovered, developed and proven through the unique work of agronomist, biochemist and mathematician, Dr. Carey A. Reams, beginning in the 1930's. RBTI testing is a non-invasive analysis completed on fresh samples of urine and saliva. There are six tests done on the urine sample: total carbohydrate, pH, conductivity, cell debris, nitrate nitrogen & ammonia nitrogen. There is one test done on the saliva sample, which is pH. The test yields valuable information on the efficiency of the digestive system and the immune system as well as specific information on which vitamins and minerals are not being assimilated into the body's cellular structure. It also yields information on the how efficiently the energy in your body is being used. Using the results, one can individualize their dietary intake and lifestyle to promote true health and well-being. Light Energy charges the battery of every cell and helps it to balance, function and regenerate properly. Near Infrared: Brings Energy & Enhanced Circulation, Regeneration & Detoxification to Hard Tissue: Bones, Tendons, Ligaments, Joints, and Teeth. These wavelengths help the body make more Nitric Oxide, the signaling molecule that increases circulation, opens up vascular flow, increases lymphatic flow, speeds wound and injury recovery and helps people connect body, mind and spirit. Most of us are not making enough Nitric Oxide and research finds low levels are implicated in heart disease, Alzheimers & diabetes. Light energy also stimulates the production of ATP in cellular mitochondria (recharging our cells built in batteries) empowering them to perform their operations within our bodies for affectively. These are but a few things which light can do with us. You can see on NIH.gov by searching photobiomodulation to see how many hundreds of studies have been performed. 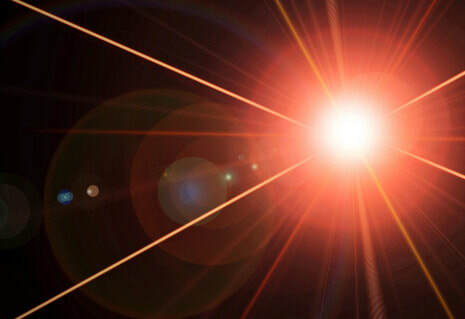 We offer our powerful light systems for your use. ​Reflexes affect everything we do from movement to cognition.